2016, Mixed Media, 20.75 in. Please click here to inquire about available sculpture and be notified of new work. David Lipson was born in Boston, Massachusetts. His passion for art began at an early age when he started copying cartoons from the Sunday paper. At age 13, Lipson discovered music through the guitar, and later studied at Berklee School of Music in Boston. After only a year and a half he moved to Hollywood, where he performed with bands and discovered painting. Lipson’s passion for painting propelled him to New York City, where he studied at the Art Students League and the National Academy of Design. He went on to forge a successful 17-year career in the animation industry with both film and television, working on popular programs including Lizzie McGuire, “TV Funhouse” segments on Saturday Night Live, and The Howard Stern Show, among others. Following the death of his sister in 2005, Lipson changed direction and traded his 80 hour workweeks for a more fulfilling existence focused on creating robots. 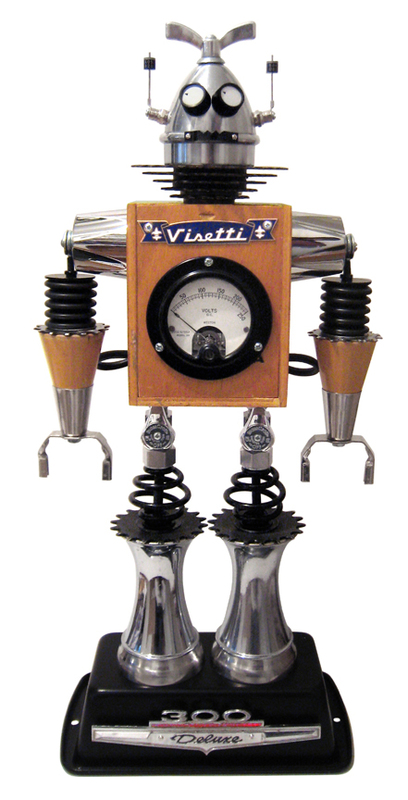 He began assembling one-of-a-kind robots with vintage repurposed parts, and without welding, which is difficult and very clever. 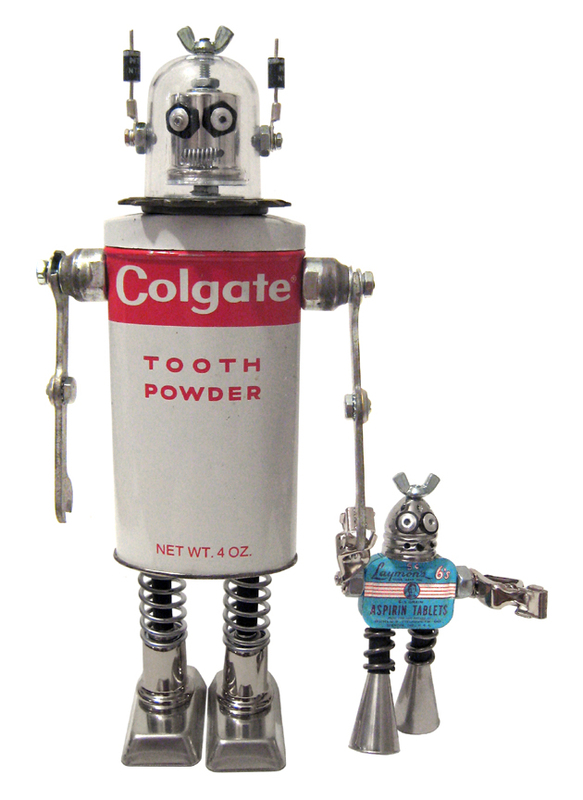 Lipson’s robots are in private and corporate collections worldwide, and have been shown in museums, books, magazines, and on television.